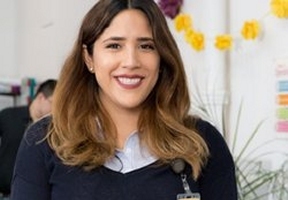 Anabelle Martinez, a Chicago entrepreneur and educator, is making a difference with Maestri Tutoring, a tutoring center providing academic programs for students from working-class households. 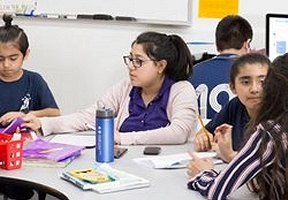 Located in the vibrant Lower West Side neighborhood of Pilsen, Maestri Tutoring opened its doors in August 2017. This tutoring center was a result of the increasing need of academic support and mentorship in working-class neighborhoods. 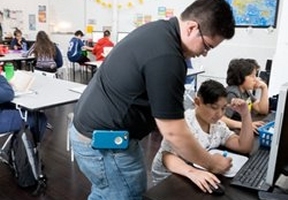 With the help of six bi-lingual academic coaches from local universities that include UIC, Loyal University, and Illinois Institute of Technology, this team is not only building students’ confidence needed to excel academically, but also improving the Pilsen neighborhood by contributing to the decreasing crime rate. Founder and Director, Martinez has been an educator/academic mentor for over ten years in the Chicago and Milwaukee areas teaching dance, gymnastics, swimming and adult ESL/GED Citizenship courses. The Maestri team is always looking for motivated and passionate tutors to help local students achieve their academic goals. With such a growing need for mentorship and academic support in surrounding neighborhoods, Martinez and the Maestri team hope to expand their services in the near future.